Groove Train at Colonial Downs | Night and Day | Style Weekly - Richmond, VA local news, arts, and events. Colonial Downs racetrack gets into the music with its first Better at Night Friday evening concert series, kicking off with funk and dance group Groove Train playing all the hits of the ’70s. When Groove Train takes the stage with its disco styles, groovy costumes and outrageous hairstyles, the audience is taken back in time on the dance floor. The group has played at events as wide-ranging as wedding receptions and smoky night clubs, belting out classics such as “Get Down Tonight,” “Rapper’s Delight” and “Good Times,” and the crowd is always sweating to the oldies. 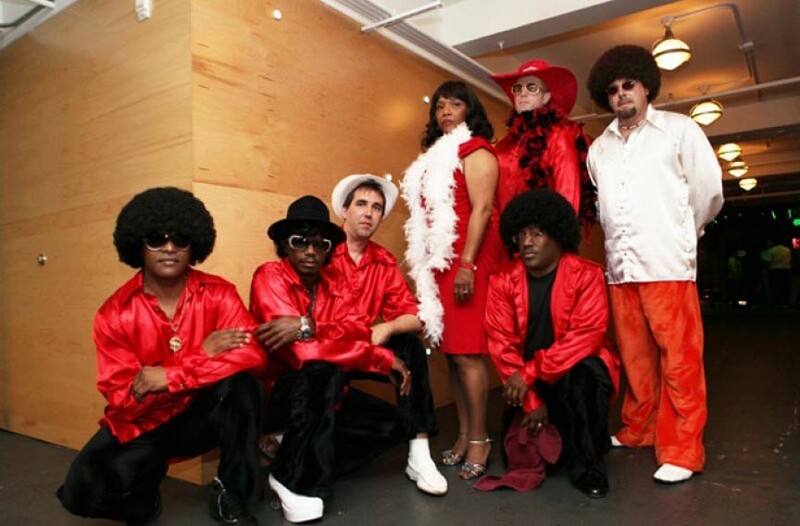 Groove Train boogies down at Colonial Downs on Friday, June 8, at 6:30 p.m. $2. colonialdowns.com/betteratnight.